This is for non-touch screen devices. 1. The new Start Screen IS The Start Menu. 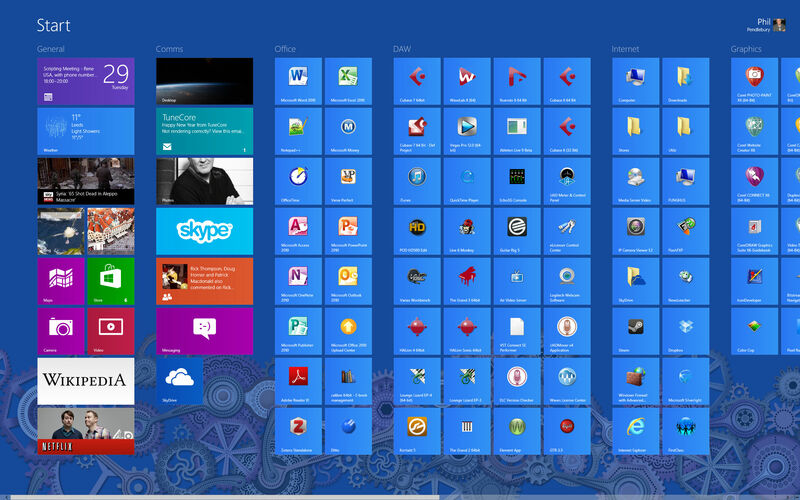 The Start Menu has not gone – It is simply replaced with a much nicer bigger screen. You do not need a replacement Start Menu. Simply place your cursor in the bottom left corner (as you used to with the Start Menu) and the Start Screen link will appear, or better still use the WinKey (see no. 2). 2. If you have a keyboard that has Windows Keys – The main Windows key alone will switch between Start Screen and desktop. Otherwise there is a Desktop App – Click that to take you to the desktop. 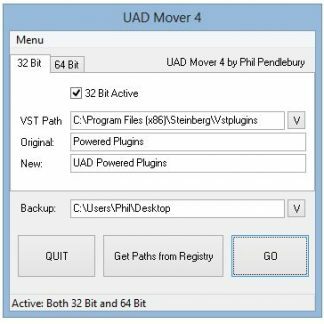 Also learn some other Windows Key Commands. 3. To search for an application, just go to the Start Screen and start typing. 4. Take some time to set up sections of the Start Screen and name the sections. Look for the little – button at the bottom right corner of the Start Screen. Organise your Start Screen and it will pay off. 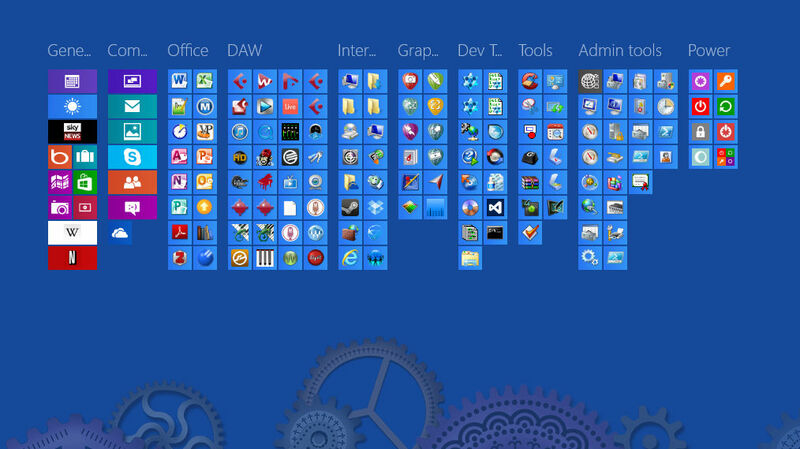 Finally there is no need to spend ages organising Start Menu folders for all users and your user. 5. Don’t worry too much about active “apps” (these really are designed for touchscreen use) although the mail one is useful as it can be hooked up to GMail if you use it – So you get reminders when you are working. As of Windows 8 Mail App update in 2013 you now need to jump through hoops to sync Gmail with the Windows 8 Mail App, making it even more useless than it already was. If you really want to do this, it can be done, a quick Google search will tell you how. So just set up a mail app within the desktop version of windows. Same goes for your browser. Use a browser from your desktop, not an “App” from the Start Screen. Also Skype is pretty useless as an “App”, use the desktop version. 6. Learn where the Charms are (mouse to bottom right corner or WinKey+F) but then will you ever use them more than once? Unlikely. Although they are useful for some program settings. And finally… You may be wondering where those nice looking quick access power shortcuts on the right of my Start Screen came from. 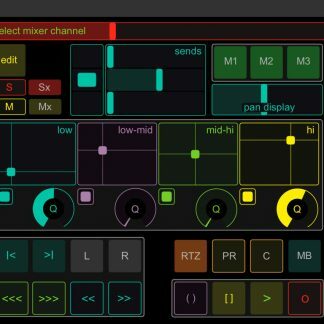 It’s a lovely neat little application written by Jason Ragasa that will save you messing about and trying to make these shortcuts yourself. 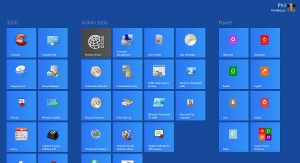 Head to Jason’s page: Windows 8 – System Power Shortcuts to get the app. 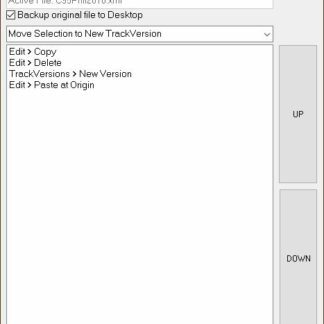 Next post: Windows 8 – Wake Over LAN – It Works!